Over the years, I’ve found that those of us who are concerned about a better world are often so overwhelmed by the enormity of suffering that we work so hard that we never stop to ponder our effectiveness or the bigger picture. But if we want to have the greatest impact possible, I believe that we have a moral obligation to stop, step back, and think strategically about the most effective ways to lessen suffering. It is always good to think back to the basics of our goal. The animal rights movement strives to apply the Golden Rule, “Do unto others as you would have them do unto you,” to all animals. In more direct terms, then, we are trying to answer the question, “If you were the hen crammed into a cage, unable to ever spread one wing, if you were the mother pig in the gestation crate, cooped up in your own waste, never able to take a step in any direction, if you were one of the billions and billions of animals who are denied every desire and just horribly abused, what would you want animal rights activists to do? How would you want them to behave?” I have been inside these factory farms, and I’ve been in the slaughterhouses; the level of abuse, the despondency in the animals’ eyes … I can’t describe it. It breaks my heart. I don’t believe that any of us can truly empathize with their level of suffering and pain, but we owe it to them to try. However, empathy isn’t enough. And neither is arbitrary action. We have to always be aware that every time we choose to do something, we’re choosing not to do something else. So it’s crucial that we strive to use our time as effectively as possible. One of the most common reasons why we go wrong is that even if we are working extremely hard and even if we are dedicated to animals and making our activism for them a priority, few of us are working to become more effective. We need to work as hard—and, more importantly, as smart—as the people on Wall Street work to sell stocks and advertisers work to sell the latest SUV. Although our goals are different, the mechanisms of reaching other people and selling the message (in our case, of animal liberation) are well established. The point of this essay, “Stealing from the Corporate Playbook,” is to discuss ways of becoming more effective. There are two “playbooks” that nearly every successful businessperson has read—The Seven Habits of Highly Effective People by Steven Covey and How to Win Friends and Influence People by Dale Carnegie. If these two books can be used to make money and sell products, they can be used to help animals. I highly recommend that every animal rights activist take the time to read them both. We must take our animal advocacy as seriously as corporate America takes making money. In the meantime, I’ll go ahead and relate the parts that I find most useful. What I thought was most valuable in Steven Covey’s The Seven Habits of Highly Effective People is a concept that he calls “the tyranny of the urgent.” Basically, Covey suggests that most of us are so busy with the endless deluge of whatever comes up next—email on your screen, the phone ringing with this or that emergency, and so on—that we don’t have time to focus on actually accomplishing something. How often have you thought, “I accomplished nothing!” at the end of the day? Covey gives us the tools to focus on making sure that those days are as few and infrequent as possible by helping us to focus on prioritizing what is necessary, effective, and goal-oriented, rather than whatever happens to be immediately in front of us. Things like taking classes, improving your advocacy skills, organizing your life, and, of course, the actual work of doing what is necessary to reach as many people as possible—these are the areas where we should focus our energies in order to be as effective as possible. All this seems obvious, but the fact is that most of us do not view the world this way. Especially for those of us who are working to make the world a kinder place, the suffering, the misery, and the issues that we are up against are so pressing and omnipresent that we often work very, very hard but not as effectively as we could—we do what comes along, whatever is most immediate, rather than what will be most helpful. We read every article about animals and respond to every email message that comes with a headline all in caps. But most articles don’t help our activism, and if we replied to every urgent email alert, we could end up doing nothing else. One thing I now do is end each day with a list of things I will accomplish the next day. I will turn off my email and not answer my phone for significant chunks of every day, so that I can finish a book edit or a project analysis or review new undercover videos or prepare a memo for long-term strategy. These sorts of things are not urgent, they could wait, but they are very important. I turn off the onslaught of “urgent” stuff that really doesn’t need my immediate attention, and I accomplish something. Another book that offers some very useful tips for effective advocacy is Dale Carnegie’s How to Win Friends and Influence People, which could easily be retitled, The Basics of Human Nature. Some of the anecdotes are amusingly outdated, but mostly, it’s a book about being mindful and understanding in our interactions with others. The first principle from Carnegie that I want to cover is that we should look presentable so that our appearance does not distract from our message: the suffering of animals. For years in the early ’90s, I had a full beard and shoulder-length hair, wore only clothes that I figured no one else would want, and refused to bathe more than once per week. I guarantee that since I began sporting a conservative appearance, I’ve persuaded many more people to become vegans. Ask yourself, if you were the chicken on the factory farm, drugged and bred so that you couldn’t even stand up, or the pig in the slaughterhouse, drowning in boiling water, how would you want your advocates to look? I don’t believe our personal desire to reject society’s norms is nearly so important as advocating effectively for animals. 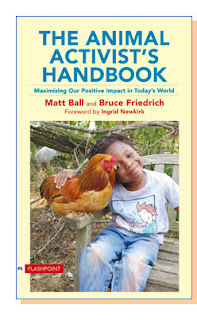 If our goal is to be as effective as we possibly can be in behalf of animals, it is absolutely essential that we put our personal desires second to animals’ singular desire to have us be effective advocates. Obviously, there are forums where green hair, body piercings, and ripped-up clothing are perfectly acceptable, but in most situations, when we reject society’s standards, we are limiting our capacity to help animals. This argument applies to health as well. I am consistently amazed by advocates who ignore their own health. The fact is that if you look sickly or seem lethargic, you’ll be less effective as an advocate. If you are frequently sick, drop dead from a heart attack, or end up in the chemotherapy ward, you’re making veganism look bad and you’re no longer helping animals! Also, if your diet consists of junk food, other potential vegans will think that’s all that vegans can eat, and they’ll be less likely to want to be a part of it. The second principle is to always be respectful, even if the other person seems not to warrant it. Being discourteous or saying something nasty is never effective. I try to go to the streets to pass out booklets and talk with people at least once a week. Sometimes people say something unkind. In the past, I insulted them right back. This usually made me feel good. Ha! I told them! But my reaction hurt animals. First, responding in kind doesn’t influence the person you’re speaking with. You might think that certain people just aren’t reachable, but I can tell you from experience that some of the people who seem the least receptive are actually the ones who are really challenged and on the verge of changing their behavior. That’s why they react so defensively. We must always strive to respond with respect and kindness. It can’t hurt and it might turn those people around. Reacting with anger or sarcasm also hurts animals because anyone else who happened to hear the exchange would think I was humorless or mean. At that moment, I would not be doing animals any favors. Now I say something like, “Have a nice day, sir,” or if it’s a slow leafleting session, I might say, “Would you like to talk about that?” Not only am I taking the moral high ground in the eyes of others, I’m consistently surprised by how often I’m able to have excellent conversations with seemingly obnoxious people! The same analysis applies to your nasty brother-in-law or coworker at the office party. No matter how right you are, the question we must ask ourselves in every situation is “What’s in the best interests of animals?” Please allow me to repeat: It is never in animals’ interests for you to say something disrespectful to someone in a discussion of animal rights or veganism. The third vital Carnegie principle is the art of convincing people through dialogue. Try not to make your vegan advocacy a monologue—and especially not a ranting one. This is the one that I had the most problems with when I first became a vegan. The weight of all the animals’ suffering on factory farms and in slaughterhouses enraged me. Consequently, I wanted to beat everyone into becoming a vegetarian or a vegan, to force them to share my horror and outrage. I am now convinced that this is not the most effective way to convince people to change their behavior. When someone says, “Plants feel pain!” or, “Animals eat other animals!” there are, of course, many possible responses that would shoot the other person down. But honestly, people really do believe the things they say; they just haven’t spent much time thinking about it. You have, so you might think the question is stupid, but if they said it, they don’t think it’s stupid. So if you respond as though you think they are, you will not convince them that you’re right—instead, they’ll feel too put off by you to listen to you. A wonderful way to begin your answer to a question that you think is stupid is, “That’s a question I get a lot, but if you look at it this other way …,” or, “I used to ask that same question, but now I see that …” These sorts of segues validate the other person, make you look good to anyone listening in, and continue the discussion in a way that will be far more effective than any other method that I’m aware of. If you react in this manner, you’ll be giving them a moment to embrace their better nature, and you will often find that they will soon be saying something like, “I have a sister who is a vegetarian.” I have to tell you, I’m consistently amazed at how someone can behave so nastily at the beginning of a conversation, yet come around by the end. But they won’t come around if we act aggressively, defensively, or condescendingly. Everyone wants to be liked. Everyone thinks of themselves as a decent person. If we grant people the opportunity to be heard—even if they don’t seem to deserve it—we can be far more effective in our interactions. Certainly, everyone witnessing the conversation will come away with a good impression of us and, thus, of animal rights activists in general. The last Carnegie principle I want to address here is that we should be optimistic, upbeat, and positive. In the face of so much suffering, it can be difficult to be optimistic. Believe me, I know. It is so hard knowing about the horrific suffering of animals without being constantly down about it. But again, we have to ask ourselves: What will be most effective in helping animals? Depression and anger, however understandable, clearly will not be as effective for animals as a good-natured attitude. Think of the people who are the most popular. They are the ones who are smiling, upbeat, laughing out loud, and having a good time. We have to strive to be like that. In his book The Tipping Point, Malcolm Gladwell analyzes the people who turn fads into trends. He has found that in every case, they are friendly, optimistic, and interested in others. They express a genuine interest in others, and that is returned by the people they’re talking with. Gladwell also offers a slew of interesting anecdotes that show that how things are said is at least as crucial as what is said—people, whether they admit it or not, are deeply influenced by body language and tone of voice. And of course, a positive tone and upbeat demeanor are far better at influencing people than the reverse. To put this into practice, just before doing TV interviews or going out leafleting, I smile into a mirror and laugh out loud (ha ha ha ha ha). It sounds odd—but don’t dismiss it until you’ve tried it. It can really turn your mood around. It helps put you into a frame of mind in which you’re upbeat even if the interviewer or the person on the street seems intent on bringing you down. Besides our tendency to be understandably depressed or angry, I’d like to discuss a few other things that many of us do that ultimately hurt animals. So the issue of personal purity becomes one of basic math: Adopting a vegan diet means you’re not supporting the torment and slaughter of dozens of animals every single year. Helping just one more person to go vegan will save twice as many animals. But the reverse is also true: If you do something that prevents another person from adopting a vegan diet, if your example puts up a barrier where you might have built a bridge, that hurts animals—so then it becomes anti-vegan, if vegan means helping animals. Always, always, always remember: Veganism isn’t a dogma. Veganism is about stopping suffering. Let me say that again, as a 17-year vegan: Veganism is not a list of ingredients or a set of rules. Being vegan is about doing our best to help animals. So it requires thought, not a checklist. So if you’re at a holiday party with meat-eaters and you’re talking about how you can’t eat the bread because you don’t know what’s in it, or you’re at a restaurant and there’s a veggie burger on the menu but you give the server the third degree about the ingredients or about how it was cooked, you are forgetting the essence of being vegan. You’ve just made veganism seem difficult, throwing up barriers to the others at the table who might have otherwise considered the plight of animals. In this situation, others are unlikely to want to ask about your diet, and they’re even less likely to think of it as something they might consider. Look at the big picture and you’ll see that your pursuit of purity in that instance does significantly more harm to animals than consuming that tiny bit of animal product! Remember that if just one of those people follows your example, you can save hundreds of animals! And if just one of them might have but decides not to because of your example, the reverse is true: You are hurting animals. If you’re worried about what you’re going to eat in a restaurant, call ahead and figure out what meets your standards, and then order it with gusto. If you’re worried about what you’re going to eat at the office party, get on the catering committee or just bring along some great vegan food. But please, never, never make it seem like being concerned about animal suffering is a chore, because, of course, it’s not. Another advantage of taking part in gatherings is that people are likely to ask you about what you’re eating, especially if they know you’re a vegetarian. This is your perfect chance to get a bit of information into their heads and maybe even into their hands. As previously discussed, you need to do it in an upbeat way, and you need to gauge the situation so that you don’t alienate everyone, but you should be able to present the basic moral argument without being aggressive. You know, this is an issue that is really important to me. I believe that if you saw how animals are suffering on factory farms and in slaughterhouses, you would be horrified and you wouldn’t want to support it. But I’ve found that having this discussion with a table full of people is often unpleasant for some of the people and I don’t want to monopolize the entire conversation. I do have some literature and some videos, and I’d love to talk with you about this later. Can I get your email address? Boom! You’ve raised the moral issue AND you come across as the nicest person at the table. Everyone who, when that person asked, “Why are you a vegetarian?” hunkered down to listen to your long moral monologue will be singing your praises. But you will have raised the ethical issue, which is crucially important. One last thing to say about eating with meat-eaters: If you’re going to a function where taking food is appropriate, please take along some tasty dishes; when one person substitutes your recipe for theirs, that’s a little victory. Few things convert people like delicious vegan food! If you agree with me that the animal rights movement is the moral imperative of our time, then I hope that you will also agree that animal rights must be our focus. So we must accept people where they are and not argue with them about other issues, even if they try to distract us. Often, people will feel more comfortable discussing an issue that they’ve thought a lot about, so in response to your vegetarianism, they’ll ask you about abortion, God, or politics. If we make veganism and animal rights a package deal that includes other issues, it will be easier for others to dismiss us. Someone who might have otherwise considered veganism might write you off because of your position on the death penalty or abortion. And really, there’s also the “Why bother?” factor since, for example, you are far more likely to awaken a conservative to the animal issues they may not have considered than to sway them to reject their political philosophies. 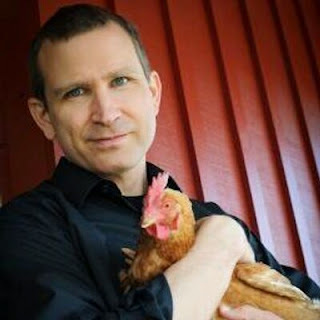 In fact, some of the best advocates for animals are not progressives, including George W. Bush’s vegan senior speechwriter, Matthew Scully, as well as former Congressional members Bob Smith and Bob Dornan. Bob Dole was much better on animal issues than Bill Clinton, and right-wing ideologues like G. Gordon Liddy and Oliver North are quite sympathetic to animal issues, while political liberals like Bill Press and Michael Moore are dismissive at best. Also, if we’re advocating a certain type of vegan diet, such as macrobiotic or raw foods, that could harm animals because it’s far harder to follow these diets than a vegan one. And remember, most meat-eaters are already worried about what they’re going to eat if they give up meat. Our message must be the animals’ suffering, not our personal dietary preferences where those preferences don’t actually help animals. Another way that we limit ourselves is by apologizing or minimalizing. I have heard it said that it’s acceptable if someone asks why you are a vegetarian to say that it’s a “personal decision and I don’t want to talk about it.” How does that help animals? How would anyone, hearing that answer, ever come to realize that this is a moral issue? They won’t—they’ll think it’s just your own personal quirk. Also, never say that your diet is just about your health, and never say it’s just about the environment. You can raise those issues, in addition, of course. But always, always, always talk about the effect on animals. We’ll never get to animal liberation if the only people adopting a vegetarian diet are doing so for selfish reasons. Another thing we do wrong—and this is fundamental to this entire talk—is that we often don’t prepare and we don’t practice what it is that we want to say. We’ve all heard arguments like “What about abortion?” and “Don’t plants feel pain?” a million times, so there is no excuse for any of us to “wing it” in responding to these questions. We should be ready to give the best answer in a friendly and engaging manner. We owe it to animals to have a thoughtful and constructive, yet simple and focused reply ready for every question. If we are nervous or uncomfortable about public speaking or potentially argumentative interactions, we should enroll in Toastmasters or a public-speaking course, and we should practice with friends until we’re comfortable having these discussions. It can also be an embarrassing but amazingly useful exercise to do video role play with this discussion. It’s funny and a bit mortifying, but you can bet that once you’re done, you’ll be able to offer the argument in any situation! Finally, we have to remember the little things like wearing buttons and T-shirts and putting bumper stickers on our cars and laptop computers. Everyone with a car or a laptop computer should have “Proud Vegetarian” bumper stickers on them. Animals never get a rest; it’s the least we can do to put a bumper sticker on our car and laptop. If you don’t want a permanent bumper sticker, you can get a sheet magnet at Kinkos, put your bumper stickers on it, and cut them out. I have magnetic bumper stickers that I take with me when I travel to put on my rental car, which I love, because they’re nice, new cars, and they become a mobile billboard for animal rights. Beyond that, when we go out, we should generally have a button or a T-shirt and some literature. You can be sure that if I have my backpack—which I usually do—I have a stack of booklets. Various groups offer “Ask me why I’m vegetarian” t-shirts and booklets that every activist should have in their bag at all times. Remember, you convert one person to veganism and you’ve saved thousands of animals. People see the bumper sticker or your “Ask me why I’m vegetarian” T-shirt, and you’ve got the pamphlet and can hand it to them and talk to them about that issue. Every time a new person thinks about animal rights or thinks, “Hey, they look pretty normal and they advocate animal rights,” that’s a victory for animals. If you currently walk around in Boston Red Sox or Metallica T-shirts, replace them with “Ask me why I’m vegetarian” T-shirts and be an animal advocate each time you step outside the door. Whatever their record, the Sox don’t need your help nearly as much as animals do. It’s important to get positive conversations about animals started, so here are a few tips on getting discussions going. These are a few of my favorites. One thing to do is to have non-animal interests. You could join a book club, work out in the gym in your animal rights T-shirt, join a running, biking, or hiking club, or do whatever activity is important to you. Get involved in some organizations and become the animals’ voice in those organizations. Although already discussed, probably the best way to do the most good for almost no expenditure of your time is to prioritize the little things like wearing T-shirts, putting bumper stickers on your car and laptop, and carrying literature with you. The importance of displaying buttons and T-shirts and bumper stickers can’t be overstated: people will see those things, especially if your button invites them to talk to you. For instance, I have six “Ask me why I’m vegetarian” T-shirts. I wear them everywhere, and people really do ask, spurring conversation after conversation on planes, in the metro, and everywhere else. And even for people who don’t ask, they have to think about whether they want to ask, which is also good, as they will think about why they’re not vegan and why you might be vegan. Each time someone who would not otherwise have thought about this issue thinks about it, that’s a little victory for animals. It takes a bit more effort, but spending time passing out booklets is both fun and an amazing way to advocate for animals. Just think about it: The average person in the U.S. eats dozens of chickens, pigs, turkeys, fish, and other animals in a year. Even if only one person becomes a vegetarian after an evening of your leafleting, that is an enormous victory for animals—hundreds of animals saved from horrific suffering in just an hour or two! But I can tell you from our surveys that every time you go out to leaflet, you affect more than just one person. Also, many of those who don’t immediately become vegan or vegetarian will likely be more receptive to the idea the next time around. Instead of going to a movie on some Friday or Saturday night, grab a stack of booklets, go where there are a lot of people and pass them out. I live in Washington, D.C., so it’s particularly easy because there are constantly people flowing in and out of the Metro. Just a few of us can give away 300 or 400 booklets in an hour. When we go down to the bottom of the escalator, we see maybe a dozen thrown away—but the rest are being read, and many will be passed on or left on trains for others to read. On public property, you can also set your laptop computer or tablet on top of a card table and show one of the many videos out there. Honestly, it is just stunning to see the number of people who will just stand in front of the TV and watch the entire thing, sometimes more than once! They see images and they get drawn in, often asking questions afterwards. With these approaches and easy activities, you can make a big difference for animals every day!